This delicate design Golden Butterfly by Stella M is picture perfect for your fairytale wedding. Transport people to memories of long summer evenings no matter what season you get married in. 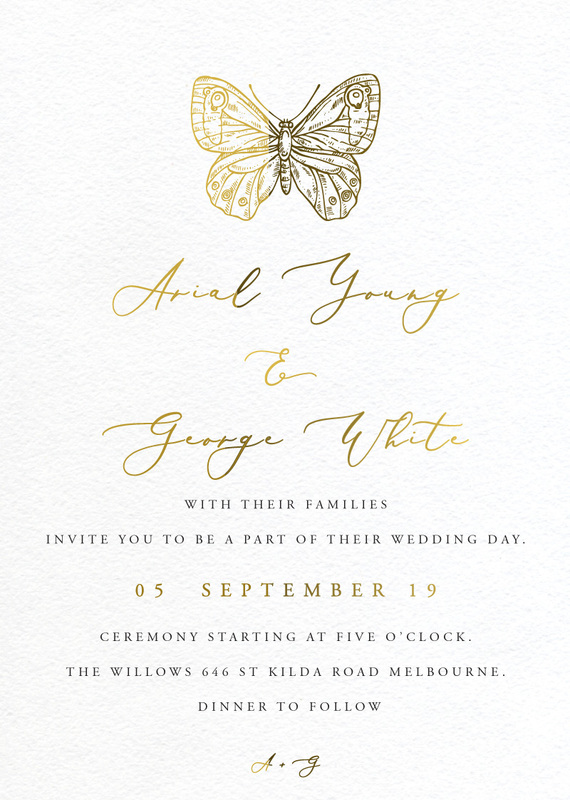 These butterfly wedding invitations are best suited to outdoor and spring/summer weddings and are fully customisable.